Suzanne joined Chambers in April 2018 and is a member of the criminal team. She completed her pupillage at a leading criminal defence firm in Bristol before moving to 30 Park Place in October 2017 to undertake a third six pupillage under the guidance of Marian Lewis. 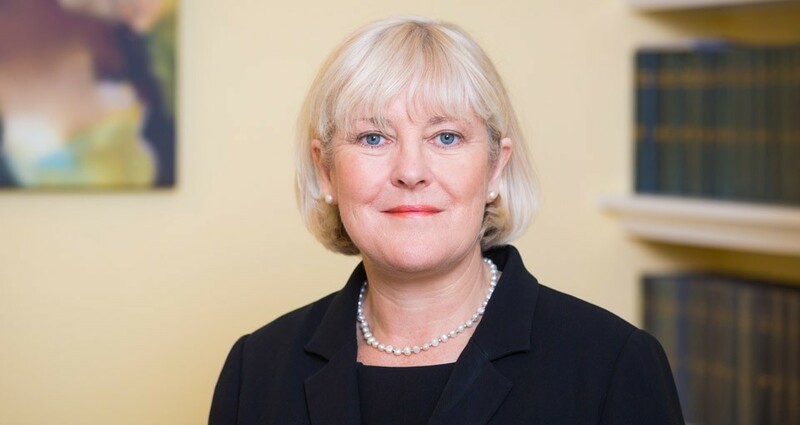 Suzanne appears on behalf of the prosecution and defence in the Magistrates’ and Crown Courts in various criminal matters including ABH, domestic violence, sexual offences, dangerous dogs, possession with intent to supply drugs, motoring offences and hearings under the Proceeds of Crime Act. She is an associate lecturer on the Bar Professional Training Course at The University of West of England. Suzanne is a mature entrant to the Bar following 28 years operation experience in the police service in the Merseyside and South Wales areas. She brings with her an in-depth knowledge of police investigations and procedures following her various roles in uniform, CID, crime management and covert policing. During her career she was seconded to the National Crime Squad, now National Crime Agency, instructing in surveillance techniques, disclosure and other covert policing tactics. Successful defence application under the ‘slip rule’ to reduce custodial sentence by a third. Representing a mother who appealed her conviction of two charges of common assault against her 14 year old daughter and one charge of common assault against her husband. The appeal was religiously and culturally complex, involving the use of an interpreter for the appellant. The appeal was further complicated due to disclosure issues which were not resolved until the appeal. It required a sensitive and measured approach to cross examination of the young complainant. SB’s convictions were quashed following a submission of no case to answer at the close of the prosecution case. Acted on behalf of EPC who had pleaded guilty to 3 counts of possession of Indecent images category A – C, with aggravating factors of searches made online for local services. Following submissions in mitigation EPC received a sentence of 12 months suspended for 12 months with rehabilitation activity requirements. Successfully defended a 20 year old man with learning difficulties who had been accused of breaching a restraining order. Acted for JF who faced a single count of Actual Bodily Harm. Following an application to dismiss the ABH, the Prosecution withdrew their opposition to the application at the hearing, the ABH was dismissed. Acted for BM in Proceeds of Crime Act proceedings following a guilty plea to 2 counts of Possession with Intent to Supply Class A drugs. The Prosecution calculated the benefit figure to be in excess of £150,000:00. This figure was reduced to less than £60,000:00 following negotiations on the day of the hearing. Represented TC who faced 3 counts of allowing her premises to be used for the supply of Class A drugs. TC had been convicted of similar offences 4 weeks prior to the dates of the current offences, receiving a suspended sentence order. The drug dealers had targeted TC, a vulnerable person, and were dealing drugs from the house in a ‘cuckoo’ scenario. Despite an early breach in her suspended sentence order, following submissions in mitigation and close liaison with her Probation Officer, the Judge deferred her sentence for 6 months to allow her to continue engaging with the charities and NPS. BH had been charged with four offences, which were domestic violence related, including a common assault and three charges of a breach of restraining order. BH pleaded guilty to two breaches of the restraining order but remained firm on his not guilty plea to the remaining charges. During examination in chief, the complainant gave an account which differed from that given to the police, this was explored fully during cross examination. At the close of the prosecution case an application of no case to answer was successfully made, both remaining charges were dismissed. Successfully defended AJ who faced one charge of common assault at a football match. The trial was complicated in that defence witnesses were reluctant to attend because one was estranged from AJ which required a sensitive approach. The complainant failed to attend and made it clear that he did not wish the matter to proceed, despite this the trial continued. The remaining prosecution witnesses were inconsistent with their accounts to police and to each other. Instructed to prosecute a police officer for offences of common assault and a public order offence were the two complainants and witnesses were young teenagers. Defended BW who was charged with one offence of sexual touching of a girl under 16 years old. The trial required sensitive cross examination of the complainant who maintained an account which was inconsistent with CCTV footage disclosed by the Crown. BW was acquitted. Instructed to represent PS at appeal against conviction and sentence. PS was a vulnerable person who had been convicted at the lower court of common assault against her immediate neighbour. She had received a fine and a restraining order which was imposed for a period of 5 years and ordered to pay compensation to the other party. The conviction was upheld but the appeal against sentence was successful, with the restraining order and order for compensation revoked. Prosecuted RM, who was charged with seven offences relating to domestic violence, including stalking, assault and criminal damage against his former partner and malicious communication offences against her parents. Following a lengthy trial, RM was convicted of all offences and committed to Cardiff Crown Court for sentence.